Giving a cutting edge to KH Hair’s awards - On Event Production Co. 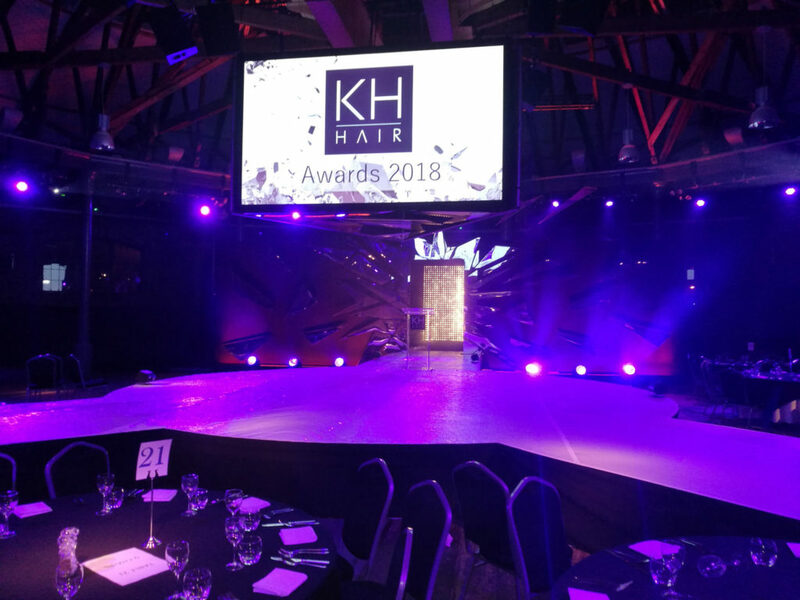 Bringing awards ceremonies to life is something we pride ourselves on doing here at On, so it was great to again be helping our long-standing client, KH Hair, to deliver a night to remember. One of the Midlands’ leading hairdressing groups, the firm tasked us with delivering its glittering 2018 awards and staff celebration evening at the stunning Roundhouse, in Derby. This is the fourth time we have delivered this event for the company. The Long Eaton-based group is one of the best-known chains of hairdressing salons in the region, with 22 salons across three counties. Its annual awards dinner is its showpiece event, which aims to recognise and reward staff excellence and celebrate its success. More than 200 people attended this year’s event. 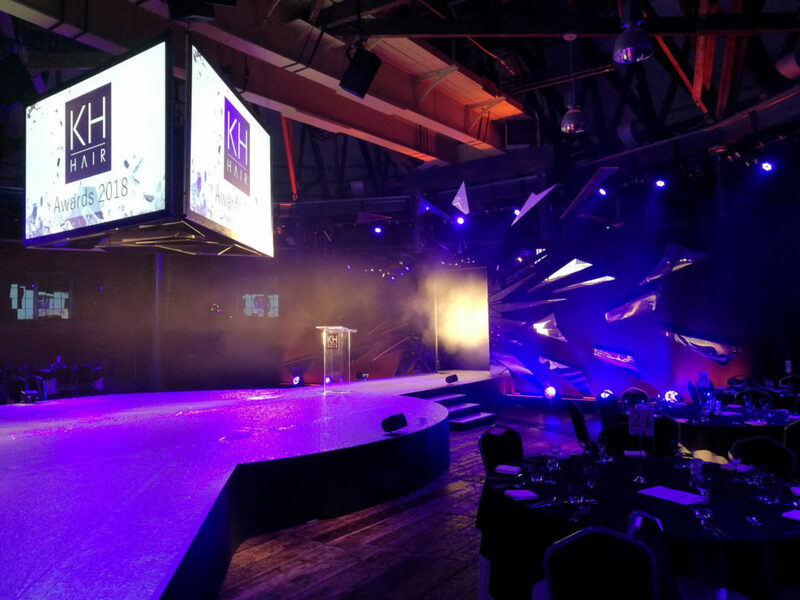 Our creative production and set fabrication teams built the stage and set for the event and worked with the in-house team at The Roundhouse to provide sound, lighting and production management on the night. Darren Messias, KH Hair’s Managing Director, said: “Our awards evening is the highlight of our social calendar and is the one night of the year where we get to bring the full team, from all our salons, together to share our success and reward the stars of our business.